Leo Stop:I am not the Prettiest girl Ever! 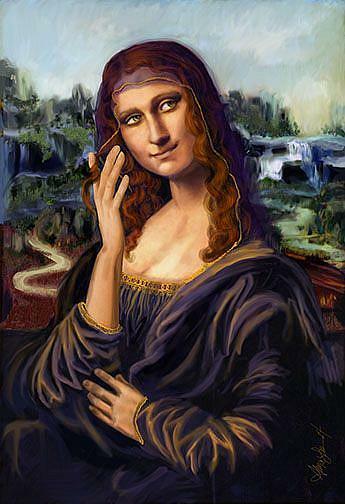 This is my entry for the Mona Lisa Unleashed. 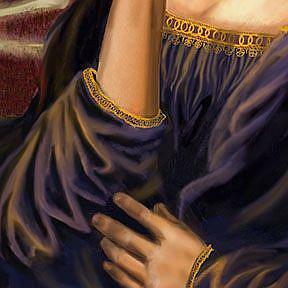 When I began to look at the painting and really study it, I really can not see why they call her the most beautiful woman in the world. So what is it I wondered? and came to the conclusion that her pose is most graceful and elegant. 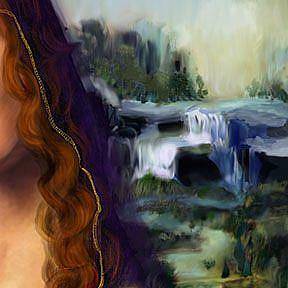 She is emits this subtle, regal, femininity that while elegant also ages her. It all begged the question what was she like before her womanhood hit it's stride? Try as I might I could not see her as a wall flower when everything in her seems to be simmering just below the surface. What was she as a young girl? 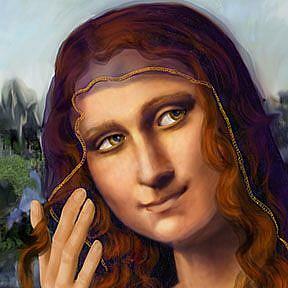 Leo Stop is the illustration of my belief that Mona Lisa was a beautiful, precocious, free spirited...Flirt.